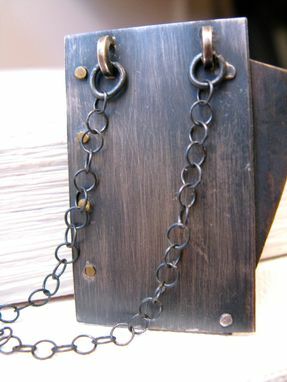 The rustic beauty of this necklace is sure to get you TONS of compliments! 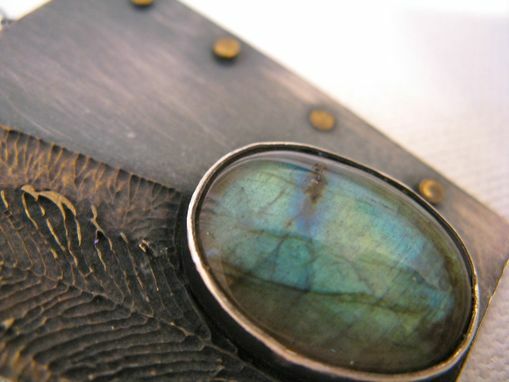 A beautiful labradorite is set into a fine silver bezel and is highlighted by a brass peacock feather and brass rivets. 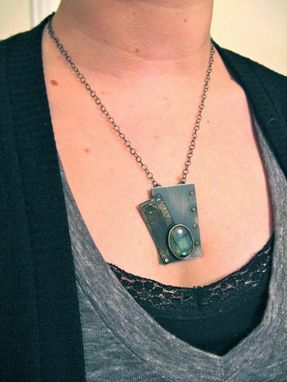 The sterling has been oxidized to a beautiful gunmetal and then sealed so the color will last forever! 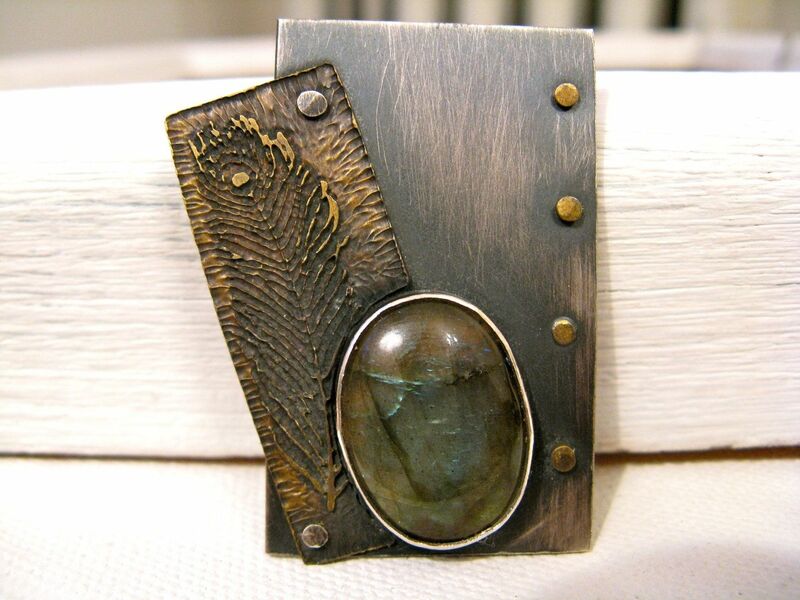 This isn't just jewelry, it's art! 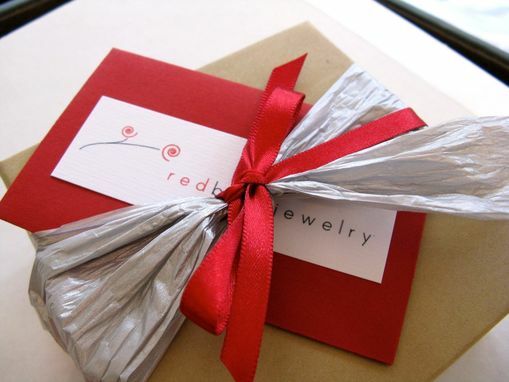 Pendant: 1.5" (at widest part of feather piece) x 1.75"
*Necklace will come beautifully packaged and ready to give as a gift...even if it's a gift for yourself!